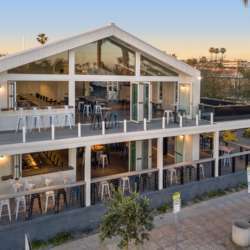 We would like to invite you to our March Event at Mavericks Beach Club! It is located just a step away from the ocean in Pacific Beach. You will enjoy a multi-level entertainment complex with indoor and open spaced outdoor bars. There will be appetizers to share with friends and few activity games are set in the middle of the patio to enjoy. You will love the fresh breeze from the ocean and great music to get us in a great mood! Happy hour is till 8pm, feel free to come early and enjoy the drink and sun! -	Please have your ID ready upon your arrival, security will check your ID before entering the venue. -	Appetizers are fist come, first serve. -	Street parking, public parking is available around the venue. We look forward to catching up with you or meeting you for first time members, and don’t forget to invite your friends or co-workers, anyone is welcome to our event!